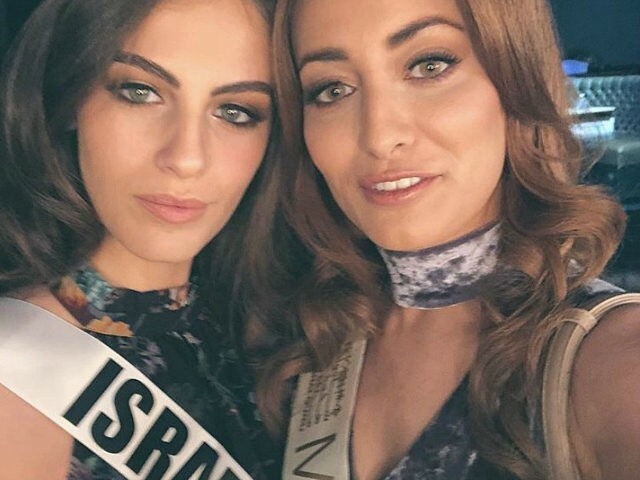 Miss Iraq’s family was forced to flee their native Iraq for fear of their lives after photos of her smiling next to Miss Israel, as well as pictures of her in a bikini, taken during the Miss Universe Pageant last month surfaced online. Sarah Idan, who represented Iraq in the beauty pageant, lives in the United States. “The two of those things together caused a mess for her back home where people made threats against her and her family that if she didn’t return home and take down the photos, they would remove her (Miss Iraq) title, that they would kill her,” Miss Israel Adar Gandelsman said, according to the Times of Israel. “Out of fear, they left Iraq at least until the situation calms down,” Gandelsman reportedly said. Idan posted a picture of her with Gandelsman on her Instagram account with the caption, “Peace and love from Miss Iraq and Miss Israel,” along with several hearts. This is not the first time the Arab world has reacted to beauty pageants with such fervor. In August, then-Miss Lebanon, Amanda Hanna, was stripped of her crown and title after it was discovered that she traveled to Israel, which is forbidden by Lebanese law. In 2015, then-Miss Lebanon, Sally Greige faced calls to strip her title after she appeared in a photo with then-Miss Israel, Doron Matalon, and two other beauty queens. Greige had defended herself at the time by saying Matalon harassed her into taking a picture with her.